Jewish Sabbath table items of sabbath bread covers, boards knifes, sabbath tablecloths, salt & pepper holders, matches and napkin holders, all in unique traditional Jewish designs and decorations of Jerusalem and more. 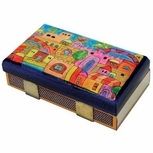 Find here also chewing tobacco boxes, candle holders and more related Judaica. Decorate your beautiful white sabbath table with Bible Land Shop's Sabbath table items collection. We also stock an excellent range of unique Shabbat Judaica at our sister store in Jerusalem. Fast shipping direct from the Holy Land. Traditional challah covers for the Sabbath with beautiful silk embroidery for a complete traditional Sabbath table. Use these unique challah covers to add some flair to your Sabbath table. Traditional and modern Challah Boards and Trays for the Sabbath. Beautiful decorated Sabbath bread plates for a complete traditional Shabbat table. Top quality, sharp prices & fast shipment. Israeli designed napkin holders for the Sabbath Table, ornamented with Jewish designs of Jerusalem and other Jewish symbols, made of mahogany wood and silver. Great as a wedding present. They can be a beautiful decoration for your Sabbath table. 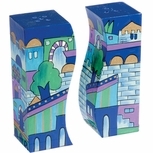 The Bible Land Shop is offering you a wide variety of salt & pepper holders in various Israeli designs for your Sabbath Table. The designs combine unique and beautiful designs to add style to both you table & kitchen. 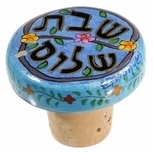 Sabbath wine cork made of stone and cork in Jewish designs for the sabbath table wine. Great quality, fast shipment. They make a one-of-a-kind gift idea for wine lovers. 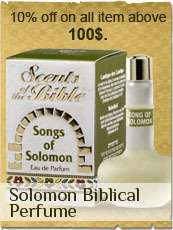 The Bible Land shop offers you a wide variety of match boxes. Whether you prefer traditional sterling silver designs, or wood modern Israeli designs we have it for you. All our products are made in Israel. Sabbath Tablecloths for the Sabbath and Jewish Festivals (Yom Tov), white Tablecloths with Silk and delicate linen Jewish ornament embroideries. Use these unique tablecltohs to add flair to your Sabbath table. All these tablecloths are designed by Israeli designers.